The process of reconstituting the Zimbabwe Anti-Corruption Commission (ZACC) to lend weight to President Mnangagwa’s anti-corruption drive has begun in earnest as Parliament has started inviting nominations of suitable candidates to replace commissioners that resigned on January 31. ZACC chairman Dr Job Whabira and his entire commission, comprising Dr Nanette Silukhuni, Mr Goodson Nguni, Mrs Christine Fundira, Mr Denford Chirindo, Ms Cathy Muchechetere, Ms Farai Mashonganyika and Mr Boyana Ndou left, having been in office from February 2016. President Mnangagwa described the old commission as “rotten to the core” and its departure paved way for a clean slate in fighting corruption, which is at the centre of rebuilding the economy in accordance to the Transitional Stabilisation Programme (TSP), a short-term economic blueprint running until 2020. Yesterday, Parliament invited members of the public to nominate people whom they feel should be considered to sit in the commission following the resignation of the entire compliment last month. 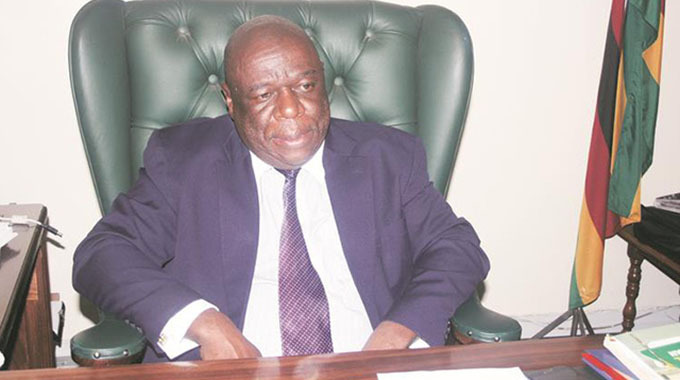 In a statement, Clerk of Parliament Mr Kennedy Chokuda said Parliament’s Standing Rules and Orders Committee was calling for the nomination of people to sit in the commission. He said the call for nominations was consistent with Section 237 and 254 of the Constitution to nominate candidates for appointment by the President to serve as commissioners. “Vacancies have arisen in the Zimbabwe Anti-Corruption Commission following the resignation of the chairman and all the commissioners and Commissioners of the Commission on the 31st of January 2019 before the expiry of their term of office. Accordingly the SROC is hereby calling on the Public to nominate persons to be considered for appointment to this Commission,” said Mr Chokuda. The deadline for the submission of nominations is February 28. “Members of the Zimbabwe Anti-Corruption Commission must be chosen for their integrity and their knowledge of and experience in administration or the prosecution or investigation of crime or for their general suitability for appointment,” read the statement. Some of the qualifications required are that one should at least be qualified to practice as a legal practitioner in Zimbabwe and had been so qualified for at least seven years. One can also be qualified to practice as a public accountant or public auditor in Zimbabwe and had been so qualified in the past seven years or have at least 10 years’ experience in investigating crime. “Nomination material must consist of a typewritten submission of no more than two A4 pages stating why the person nominated is a suitable candidate together with a completed nomination form which can be obtained at Parliament offices or download from the website,” reads the statement. Some of the functions of ZACC include investigating and exposing cases of corruption in the public and private sector, receive and consider complaints from the public and direct the Commissioner-General of Police to investigate cases of suspected corruption and to report to the commission on the results of any such investigation. It is also mandated to refer cases to the National Prosecuting Authority for prosecution. ZACC must also make recommendations to Government and other persons on measures to enhance integrity and accountability and prevent improper conduct in the public and private sector. Complete and utter Zanu lies. Are you Mr Ed going to prosecute any of the previous members or nothing. It appears Mr Ed you are simply following a process here. Retire the corrupt hands of an institution and replace them with new. Maybe the public and the world community will forget because the courts who are corrupt to take long to prosecute thes types. They get away scot free and the process continues. No change whatsoever. When are you going to lock them up ?